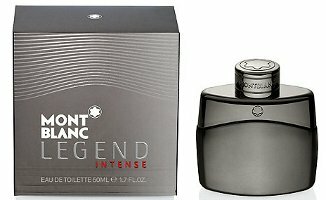 Montblanc has launched Legend Intense, a new variation on 2011′s Montblanc Legend fragrance for men. Faithful to the contemporary elegance of Montblanc, Legend Intense maintains the pure and sophisticated signature of the original fragrance, Legend. The bottle has a gun metal finish which gives it a very luxurious and masculine touch. With fragrance notes of Bergamot, Cedarwood and Tonka Beans this fragrance is warm and sensual. Additional notes include pepperwood, cardamom, jasmine and apple. Montblanc Legend Intense is available in 50 and 100 ml Eau de Toilette, and can be found now at Selfridges in the UK. If sold in the U.S. the ad campaign should feature some “intense legends” like Clint Eastwood, Robert DeNiro, Al Pacino, etc. Legend must be doing extremely well to garner this many flankers. I think the only other fragrance they did which ever had a flanker was Presence. It’s true…we’ll see if they do as many for the women’s.